This week, my grade 8 students graduated and I am so proud of their accomplishments. The ceremony was wonderful and my two grade 8 singers did a great job. They performed a rendition of "Say Something" while I accompanied on the piano (as best as I could). It was a special evening so it was a perfect excuse to get dressed up, put on some makeup and yes, I even plucked my uni-brow! My daughter took this photo before I headed out using the new Canon PowerShot S200 that Staples sent over as part of the #30SummerDays Photo Challenge. The challenge of the day was to snap a photo of your favourite pair of sandals. I went with my new pair of Michael Kors wedge sandals. The skirt is from Mexx and the top is from Mirabelli. It's the one I bought for my meet and greet with Oprah Winfrey and Christine Magee. I am also wearing some of the new Yves Rocher Summer Collection as well, including my coveted gold nail polish. Stay tuned during the week to come. I'll be posting a giveaway for the same Canon PowerShot S200 valued at $349.99! Enter to win a Canon PowerShot S200! Participating in Wordless Wednesday? Link up using the thumbnail linky below! I've taught some of these students off and on for the last 6 years. It was so nice to see them all graduate. Love your summer outfit. 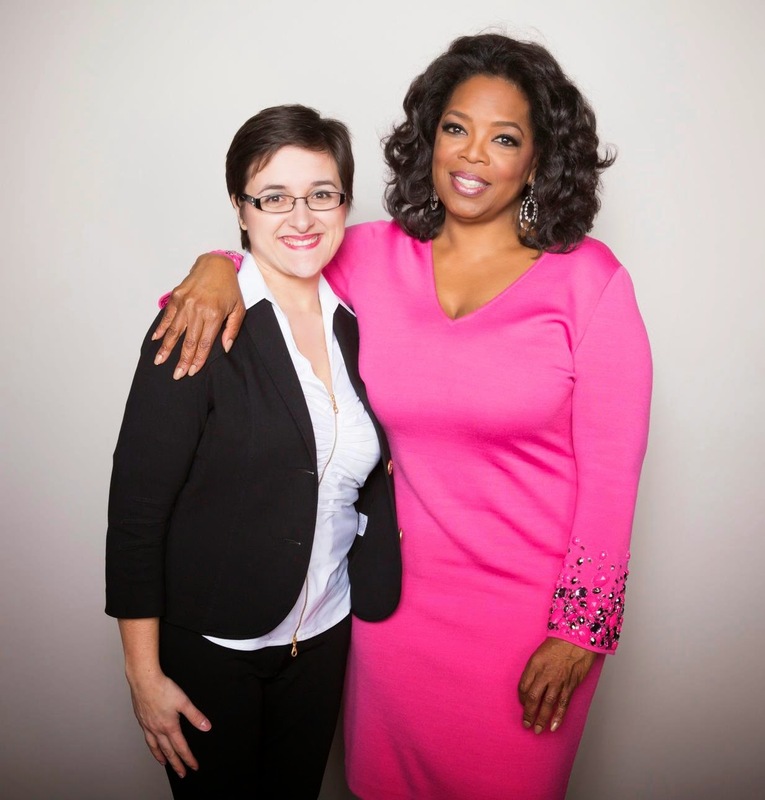 It's great that your student was able to meet up with Oprah. Thank you! It was a special evening for all of us. It's very nice that your students were able to meet Oprah. Love Micheal Kors, wish I could afford more of the line. You look great!!! Thanks too for hosting, come along and share your post, #24 this week. Looking Good, I love the outfit and sandals. Congrats to your 8th grader too! Congrats to all the 8th grade graduates. And that is very cool that you got to meet Oprah! Cute shoes and congrats to your students!! Our oldest grandson just graduated 8th grade too. Happy WW! Can I just say that I love your sandals? Oprah is pretty cool too! :) Thanks for hosting this lovely linkup. Nice to be a part of it. You are so beautiful!! Congratulations to your students on graduating, that is so big for them!! Love LOVE the shoes girl.. you rock'em beautifully. Love the MK shoes and how awesome you got to meet Oprah! Happy WW! Love the sandals! Congrats to the kiddos, and awesome that you got to meet Oprah!! Can't wait for the giveaway!! I really need one of those! Love the Michael Kors sandals, they look great on you! Wow! you got to meet Oprah! That's pretty awesome! Yes, it was pretty amazing! sure a good time was had by all and you had 'professionalism' at your finger tips with the camera. meeting Oprah how cool is that. You look so teeny tiny how tall are you. These look very comfy! Would loce a pair like it! I really love your sandals and skirt! So pretty. I like your outfit and how exciting to meet Oprah. Being a teacher must be so rewarding when your students move on to the next grade. You look so beautiful in your outfit and beautiful sandals! Meeting Oprah must have been very exciting! Great sandals! I scored a some Michael Kors aviators at a Black Friday sale.....new fan!